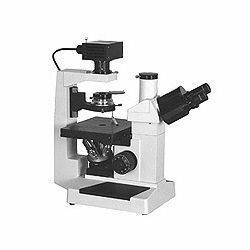 Offering you a complete choice of products which include microprocessor colony counter, medical microscopes, laboratory microscope, biological microscopes, antibiotic zone reader and vertical autoclave. Stage: Mechanical stage with X & Y Movements. Condensor: Moveable Bright field 1.2 N.A. Abbe condenser with iris diaphragm, filter holder. Nose Piece: Triple revolving nose piece. DIGITAL ANTIBIOTIC ZONE READER determines strength of antibiotic materials by measuring diameters from 0 to 80.0 mm of inhibited zones in Petri dishes. Light from base passes up through transparent and semitransparent portions of agar. Adjustable rubber belt sliding, facilitates positioning of dish relative to light source. Light then passes to reflecting mirror which reflects image on Viewing Glass. Arc from one edge of circle zone is adjusted tangent with line on grounded glass by the ‘Slider Knob’. “ ZERO” switch on the front panel to get the reading Zero on digital display. Then Entire dish is to be moved by turning ‘Slider Knob’ until arc from opposite side of inhibited zone is brought tangent to same line. Take down the reading from the digital display. Accurate reading of distance in mm on digital display. Electronic “ZERO” adjustment eliminate tedious zero setting on the scale. No parallax so no human error in reading. Fine Focus adjustment for clear image on the Viewing Glass. No effect of ambient light on image. 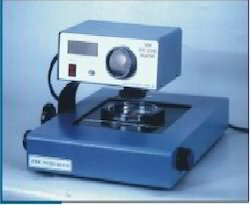 Halogen Lamp for sharp & bright optical imaging. Halogen lamp for long life. 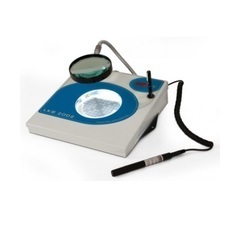 User’s friendly design to operate the instrument. 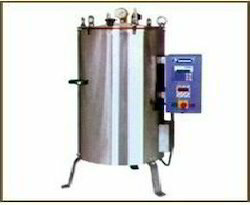 We are offering Centrifuge Machine which is used for determination and checking of bitumen percentage in bituminous mix. The mix is added with a solvent and dissolved bitumen is removed by centrifugal action. Centrifuge Machine that we offer is manufactured with the best quality raw materials. 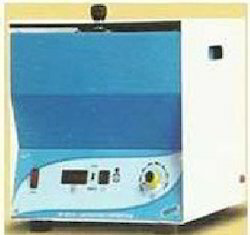 Clients can avail Centrifuge Machine from us at the market leading prices. 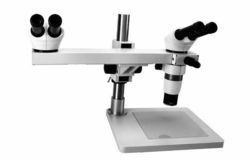 Our Research Microscope set new standard in optical performance and system compatibility and satisfy the most demanding and diverse applications. 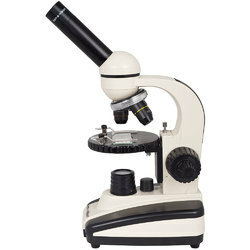 From dissection to the inverted microscopes, our name is synonymous with high-quality, high-resolution images.